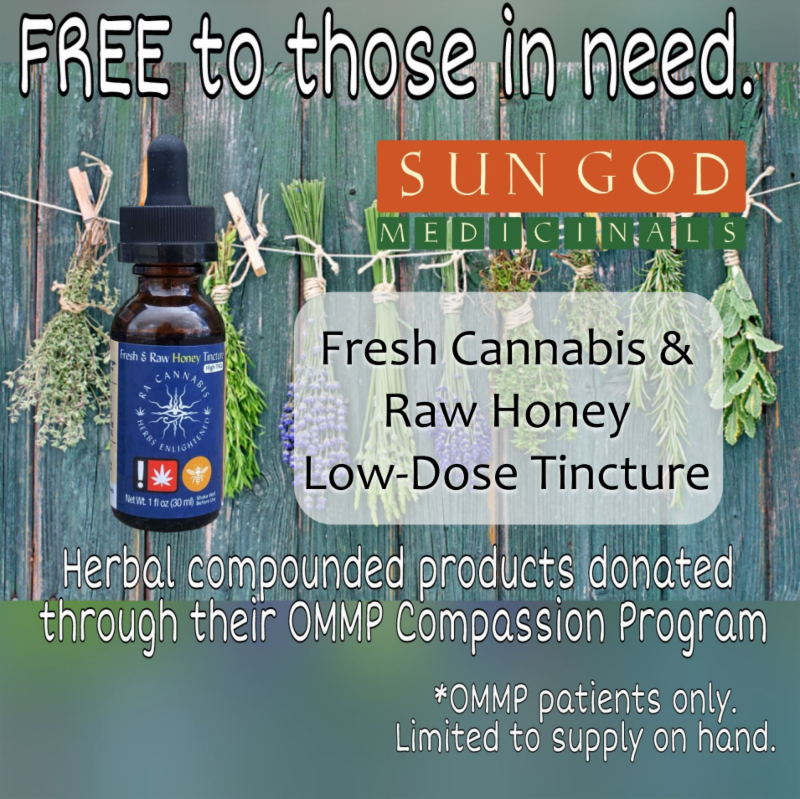 We launched a compassion program in the Spring of 2019 to donate herbal products to Oregon Medical Marijuana Program (OMMP) cardholders, and we're partnering with OLCC retailers around the state of Oregon who want to join in providing safe, affordable access to cannabis for Oregonians in need. We're starting by donating 500 bottles of Fresh & Raw Cannabis Tincture for Oregon retailers to give away to OMMP patients in their stores! Do You Run an OLCC-Licensed Dispensary? Do You Want to Participate in the Compassion Program? The Compassion Program is a partnership donation program. The Oregon Liquor Control Commission only allows licensed retailers to give cannabis or hemp items away free to OMMP card holders. Processors or manufacturers are not able to give away products to end users, so we want to partner with retailers to provide an outlet for these donations! If you're interested in participating in the Compassion Program, Contact Us today, and if you qualify we'll do everything we can to help get you started as quickly as possible! Add your logo to the bottom-left portion of this image to promote your participation in the Compassion Program giveaway of Fresh & Raw Cannabis Tinctures.